Top executives at Credit Suisse Group told a Senate hearing Wednesday that the Swiss bank "regrets very deeply" that it aided billions of dollars of tax evasion by American clients, but said the apparent U.S. law violations were limited to a small number of rogue private bankers. The comments from CEO Brady Dougan and other Credit Suisse executives aren't quite the milestone set by another apology from executives at rival UBS five years ago before the same Senate committee. But the comments marked a new effort by Credit Suisse to get some distance from the practices of its bankers as it came under attack at the hearing of the Permanent Subcommittee on Investigations. The subcommittee's probe found that the bank held as much as $12 billion in assets for 22,000 U.S. clients, up to 95% of which was hidden from the IRS. Later in the day, lawmakers said they planned to question senior Justice Department officials about what they said was the slow pace of investigations against Credit Suisse and 13 other banks accused of helping clients evade taxes. Dougan said he was "extremely dismayed by the conduct" of what he said was a small number of his company's bankers. But he took fire from Sen. Carl Levin and other lawmakers for refusing to turn over client names -- so far only 238 names, or 1%, have been provided to the IRS. Romeo Cerutti, the bank's general counsel, told senators that the bank's cooperation was limited by Swiss law, which prizes client confidentiality and doesn't consider tax evasion a crime. "You come to this country and you are governed by this country's laws...and yet you hide behind the Swiss law even though you are operating here and that is just simply not going to cut it," Levin, a Michigan Democrat, said, peering down over his glasses at the bank executives. "Is the Swiss government going to prosecute you if you comply with our laws and turn over those names? Are you going to be prosecuted? Is that your fear?" Levin asked. The U.S. and Swiss government negotiated a 2009 treaty to allow more information sharing, but the pact is still awaiting Senate action. In the meantime, Swiss authorities have increased the evidence burden for the IRS to obtain information on U.S. tax dodgers. "Had the U.S. Senate acted earlier, client data could have already been transmitted to the IRS in thousands of cases of suspected tax evasion," the Swiss Embassy said in a statement. The Senate report says that Credit Suisse used methods worthy of a spy novel to help wealthy American clients stash money away. It opened a special Zurich airport branch so customers could fly in, meet their private bankers and quickly hit the slopes, Senate investigators said. 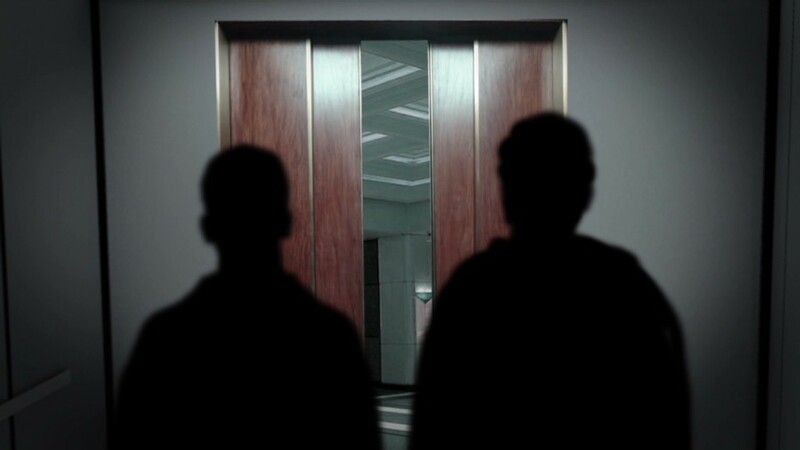 VIPs would use a secret elevator operated by remote control to be whisked to private banking suites. And bankers used sparse meeting rooms, and avoided sending account statements and leaving paper trails, the Senate report said. One banker slipped the client's bank statement between the pages of a Sports Illustrated magazine during a meeting. Last week, CNN reported other unusual ways some Credit Suisse customers moved their money. For example, one wealthy customer traveled on flights while hiding $250,000 in pantyhose wrapped around her body, according to federal court documents. Credit Suisse has recently discussed paying about $800 million to settle the Justice Department probe, a figure that some officials and lawmakers find inadequate. A Justice spokeswoman said the department has charged 73 account holders and 35 bankers and advisers with tax evasion and related crimes, and that prosecutors "won't hesitate to indict if and when circumstances merit."